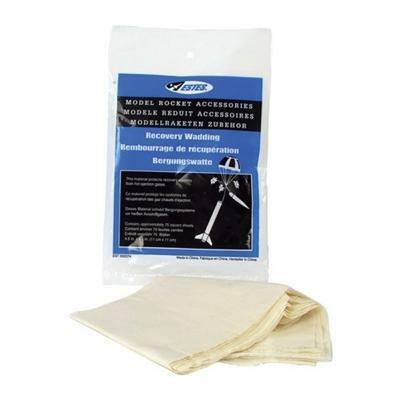 Disposable flame resistant wadding recovery wadding from Estes. 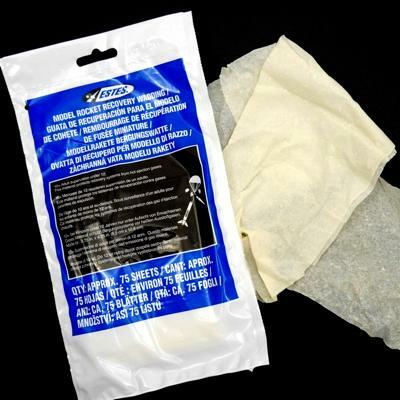 Use to protect your parachute or streamer from the hot ejection charge of the engine. Contains 75 sheets (4.5" square), enough for about 18-25 flights depending on the diameter of your models.